Dens Park — surrounding properties are rocketing in value. The stadium would be built on land adjacent to the current Cineworld and Ice Arena complex after owners Tim Keyes and John Nelms agreed a deal to purchase the vacant lot for £1.2 million. The purchase has been made in a private capacity but would allow the two Americans to create a new stadium to replace the 11,500-capacity Dens Park. Although any new ground would not be constructed for several years, it is understood any new development would have a capacity at least 50% greater than the team’s current home. 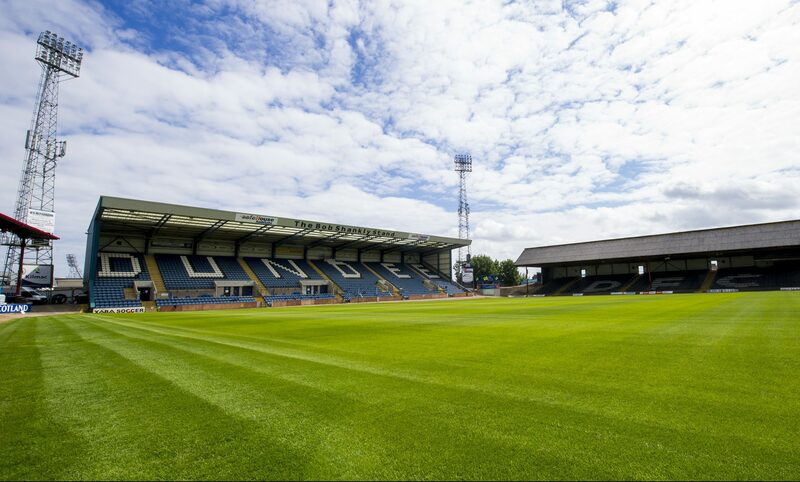 The Dark Blues have enjoyed more than 100 years of history at Dens Park, situated on Sandeman Street. The club moved to Dens in 1899 but rumours about the plan for a new home at Camperdown have been circulating in the city since last month. Selling agents Cushman and Wakefield confirmed on Wednesday a deal had been struck over the Camperdown land in the past couple of weeks. It has been on the market since last year with an asking price of offers over £2 million. However, it is believed the deal agreed with Vico has seen the land change hands for around £800,000 less than sum. A move for Dundee away from Dens Park would end a unique tradition in professional sports. Dens is situated just yards from rivals Dundee United’s home at Tannadice Park so players walk from one stadium to the other on derby days. Dens Park is currently owned by Sandeman Properties, the company belonging to former Dundee United director John Bennett. Dundee City Council had previously earmarked the land for a National Performance Centre for Sport if the bid to build it in the city had been successful. The Courier contacted a Dundee spokesman but the club chose to not comment on the matter. However, the city council will still need to grant planning permission if any new stadium is to go ahead. It would likely require new access roads from the Kingsway to be built to cope with the anticipated increase in traffic on match days. Although there have been several proposals in the past for a new shared stadium for the two Dundee clubs there is no appetite at Dundee United for a move away from Tannadice. There were proposals to create a shared stadium at Caird Park as part of Scotland’s failed bid for the 2008 European Championships. Dundee FC currently has plans to create training pitches at Caird Park at the planned Regional Performance Centre for Sport. A Dundee City Council spokesman said: “The council would have to consider any application when it is submitted.